Product display is crucial to any store, making product and inventory management an important part of a successful business. 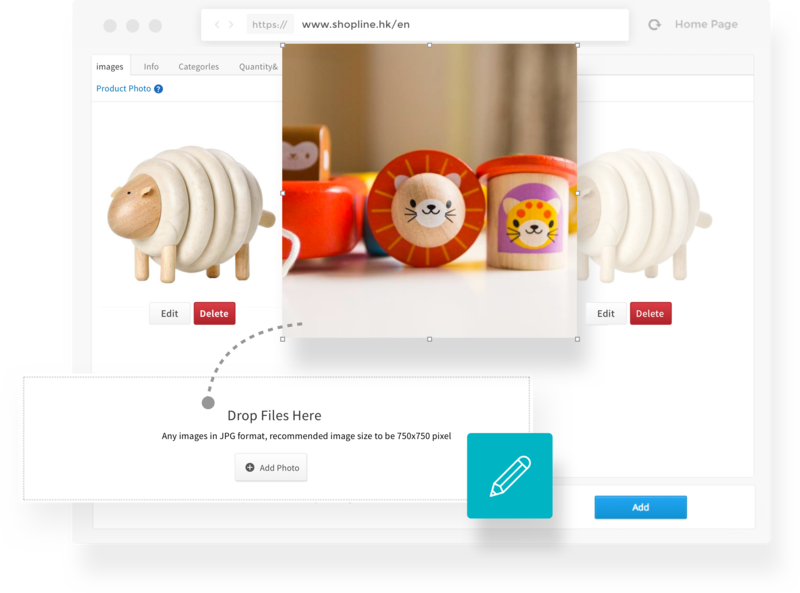 SHOPLINE allows you to have full control over all product details, from photos and variations to categories and SEO descriptions. For brands with a large number of products, you can bulk-import many products at once, bulk-edit categories and change product sorting. 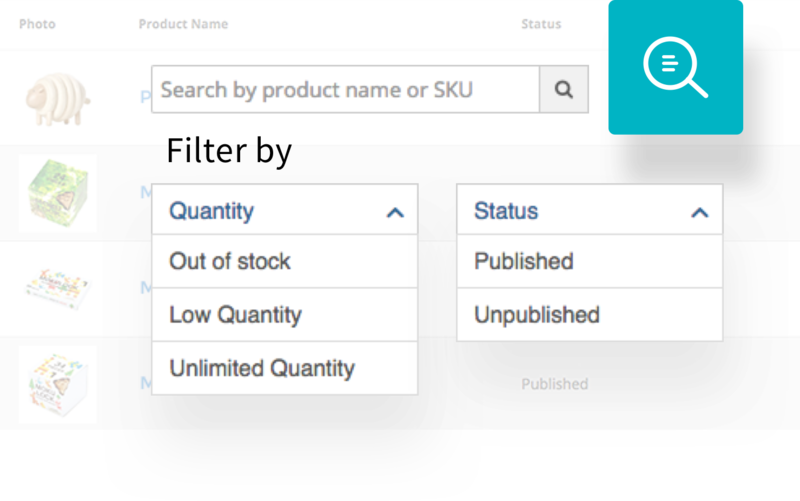 Clear and organized product categories are crucial to effective product management, and they allow customers to find your products easily. You can freely categorize one or multiple products and create a main and second level categories with just one click. You can place your purchase orders on time or create timely promotions for slow moving SKUs so that you can be in total control of your inventory and SKUs. 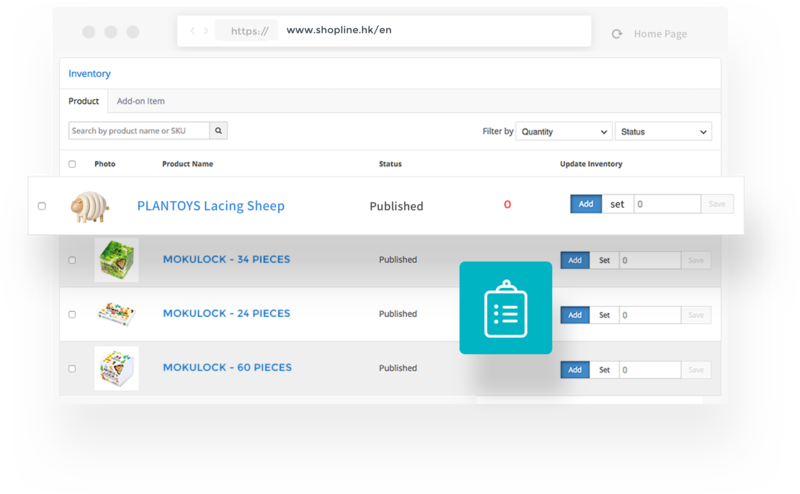 SHOPLINE has this on mind when designing our inventory and order management tools, allowing you to see your inventory snapshot by single SKU items and edit directly. Additional inventory tools we offer can reduce a large amount of operational costs, hence, profits can be raised effectively. Your order management interface is based on intuitive and distinctive colors to let you see your order status clearly in one go, whether you are on desktop or mobile. The order search function is also very complete, letting you filter orders by order date, number, customer ID, product name and many more options. Customers love to reach you through easy ways. 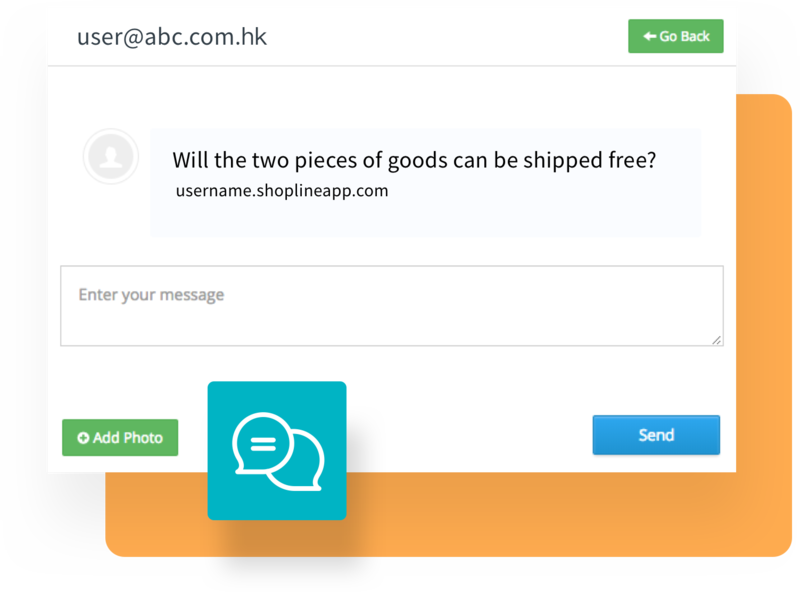 SHOPLINE offers a communication tool directly within each order and at your storefront, providing different ways for your new and old customers to reach you. 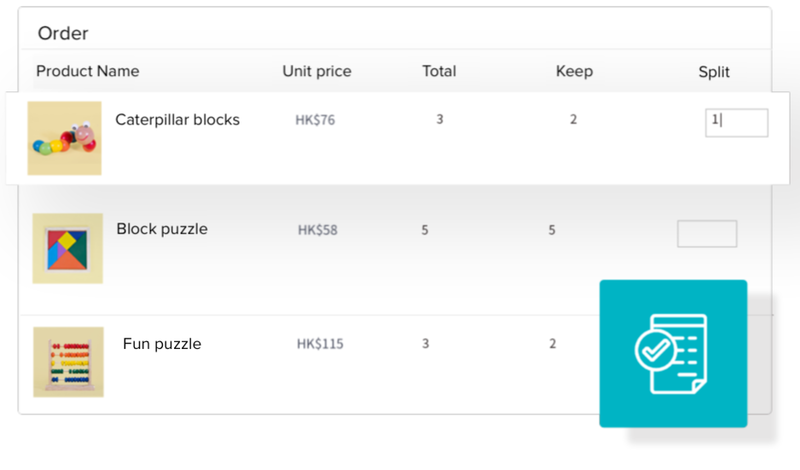 To fulfill the demand of different shipment in one order, we’ve released the “order split” function, so that merchants can split orders into parent order and child order when managing order status in the backend. No more cancelling orders or requesting customers to place order again, you can smoothly complete order shipment, reduce costs of communication and speed up your workflow! Merchants can directly communicate with customers regarding a specific order. Split your order into parent order and child order depending on different demand on shipment. SHOPLINE provides complete, smooth shopping cart system. When customers are browsing the website, they can quickly add their favourite products to shopping cart and fill in shipping information, and checkout without registering as a member. In addition, an email notification will be sent to the customer after the order is placed, so they can easily go back to the website and register as a member, simplifies the whole buying process and increase conversion. Is abandoned cart an issue for your online shop? Abandoned cart email is your solution! 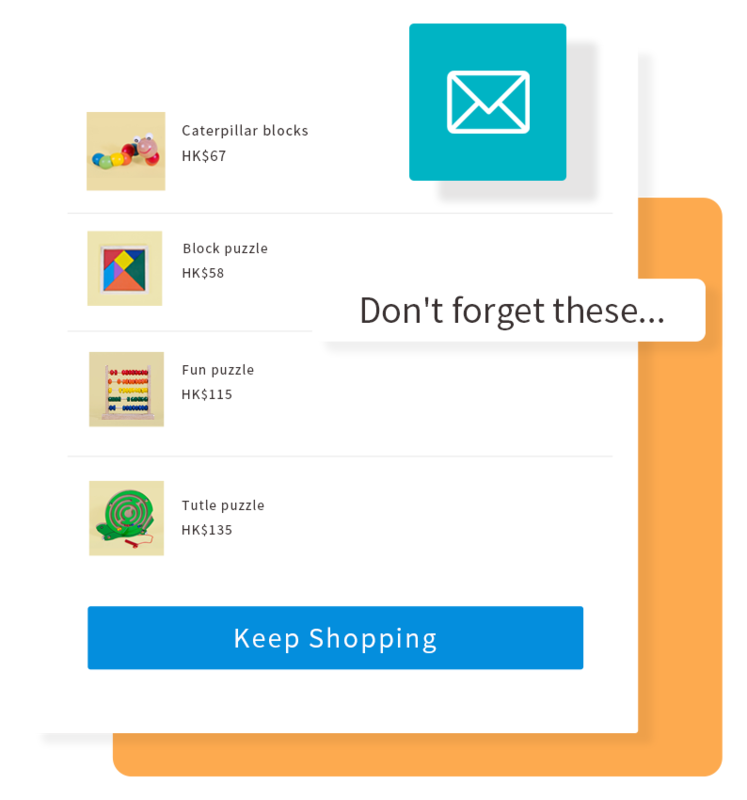 For customers that add items to cart and have not checkout successfully yet, you can send a reminder email to redirect them to the shop, which largely improves customers re-visit rate and conversion rate. To increase exposure for selected add-on item and attract customers to buy more items in the shop, merchant can set up “Shopping Cart Add-on Items”. 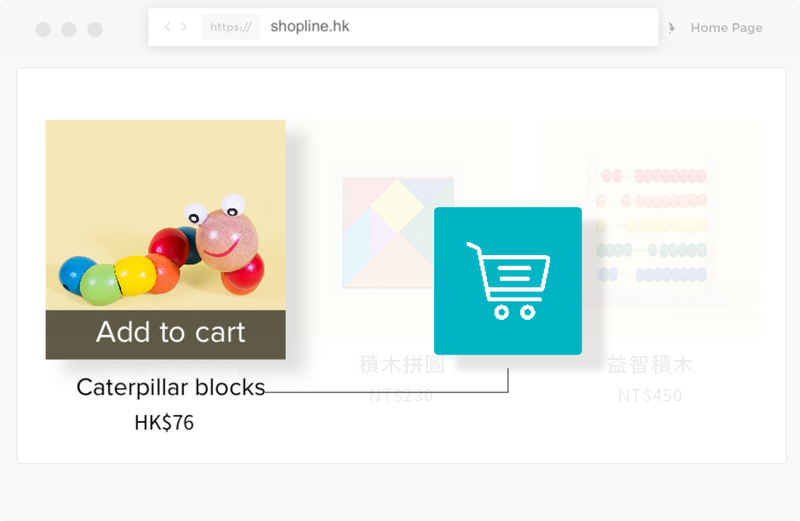 By setting up this feature, customer can view and buy selected add-on items in the shopping cart before they properly checkout, serving as a final reminder for these add-on items and increase single order amount.